"I don't know what is going to happen now," said Ankit Agarwal (name changed), a TinyOwl sales person who was sacked last week. His words summarise the predicament of around 1,700 persons who lost jobs in the Indian startups in the last three months. "We got a mail on Tuesday saying there will be a meeting to discuss future plans. We first thought it had something to do with our half-yearly appraisals," Ankit explained how he and 24 others at TinyOwl's Pune office lost jobs. He did not want to reveal his real name, fearing it would affect his future job prospects. After much publicised 36-hour drama involving gherao of a co-founder, police intervention and local politicians' entry into the startup's premises, the sacked employees managed to get their full and final settlement that 15 of their colleagues who were fired in the previous month have not got yet. However, all of them will have an uncertain Diwali since their frantic job searches are met with stoic 'we-will-get-back-to-you' responses. The actual number of job cuts could be even higher than the estimated 1700 lay-offs across well-known internet startups such as Housing, Zomato, TinyOwl and LocalBanya, as many such cases go unreported. Firings and shutdowns happen rather routinely among many 50-100 employee startups. While most founders, investors and even employees see an unpredictable turn of events resulting in plenty of job losses as part and parcel of the startup life, it is a harrowing experience for those who end up losing jobs. "It is not a situation you want yourself to be in," said Rohit Rajan (name changed), a social media manager, who remained jobless for about five months after a VC-backed online certification course provider fired him early this year. Most funded startups pay well, set up cool work places, provide unlimited coffee and snacks and arrange team outings. They also do their best to ensure fun and freedom but you never know when the party goes astray. "And to get a new job, it is tougher than one would imagine. At every interview, you will have to explain why you left your job without getting another one," said Rohit who is now placed in a Silicon Valley-based startup's Bangalore office. Khushboo Thacker, who handled HR operations at a now-defunct angel-funded tech startup, said those who join startups should be cognisant of such perils and pitfalls. "The app the company built failed and investors refused to put in more money. The good thing was that we were informed a month in advance to look for other jobs," she said. The sudden closure of businesses and job cuts that happened in well-funded companies such as Housing and Zomato made headlines and it became even more sensational when things went out of control at TinyOwl's Pune office. However, this need not be seen as ominous turn of Indian startup story, according to Kunal Shah, founder of Freecharge. "It happened all the time historically—be it Apple or any other major tech company," he said. "My view is simple—startups are known to take huge risks that sometimes results in serious mistakes as well; not just glorious successes," Shah said. Retrenchments happened in Indian startups earlier but it becomes more noticeable now since companies have grown in size and scale. "You should be happy when companies are cutting cost with firing a few rather than dying altogether," Shah said. "Yes, such things are part and parcel of the startup life. But recent incidents point towards the fact that funding has definitely come down," said Prashant Prakash, partner, Accel Partners. Investors do set tough belt-tightening targets—future funding depends on achieving those targets. In some of the recent downsizing drives, interventions from investors who are concerned about the high cash burn have been quite evident. "The board had set a target to bring down cash burn. The recent actions were not enough to bring it down to that level. Therefore, further pruning is required," said a person with direct knowledge of Housing's decision to cut around 200 jobs more after relieving 600 in the past couple of months. Rapid expansion under former chief Rahul Yadav left the Housing with cash reserve for hardly five-six months at the time of his exit, forcing the firm to initiate drastic downsizing of operations and workforce. According to industry officials, Housing has shut down a dozen business divisions and operations in 25 cities. "SoftBank has committed to put in additional money but mandated the startup to streamline its operations and fulfil certain targets," said the person cited above. After the first spell of firings TinyOwl, got $7.5 million funding from Sequoia and Matrix It went on firing 112 more afterwards. 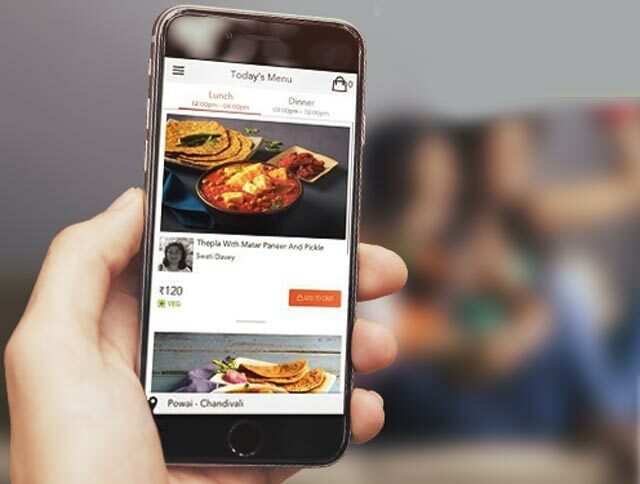 Zomato chief Deepinder Goyal in a mail to employees said the company fired only constant underperformers. After announcing 300 job cuts, he warned the company might not achieve its revenue targets. Incidents involving job cuts and closure of businesses bring up questions on spending and strategy. Ankit said overspending and over-hiring at TinyOwl led to the current situation. "For an office where only maximum 25 people were present, at a time there were two coffee machines and two printers," he said. "Three of us used to sign up 250 hotels a month and then the company hired 22 more sales persons who together did 600 a month," he said. A TinyOwl spokesperson requested for more time to respond to the queries sent to her and co-founder CEO Harshvardhan Mandad. Notwithstanding the recent hiccups, startups continue to be significant job providers. According to a Nasscom report, around 4,400 Indian startups together employ 80,000 people. "We have seen no other time like this. Everywhere I go, I see young engineers fresh out of college decline job offers and starting companies," said Freecharge's Shah. "Bigger pay cheques, larger responsibilities and creative freedom attract people to join startups. It, of course, comes with certain risks," said Rituparna Chakraborty co-founder and senior vice president of staffing agency TeamLease. The firm is involved in recruiting delivery and customer support staff as well as engineering and marketing hires for startups. "Hiring by big boys of internet industry will definitely slowdown in the near future," she said. "You take four steps forward and one step backward. It is just that. We make startup founders heroes and we dismiss them even quicker," Shah said. "You will see us making great strides but no doubt we will make mistakes too," he said. News Corp, which owns the parent of this website, holds a minority stake in PropTiger which competes with Housing.